In addition to providing our audience and clients with the best travel experiences and tips, it is also our priority to protect our audiences (your) private information. We promise to always disclose any financial stake in our posts. Similarly, we will also disclose if we receive discounts and complimentary hotel stays, if we receive anything for free or get paid for sponsored content. We want to insure our audience that our website is trustworthy, authentic and useful. With this said, per FTC guidelines, Our Sweet Adventures may be compensated by companies mentioned through advertising, affiliate programs, or otherwise. Any references to third party products, rates, or websites are subject to change without notice. Please do the appropriate research before participating in any third party offers. Please note that Our Sweet Adventures has financial relationships with some of the merchants mentioned on this blog. Our Sweet Adventures may be compensated if consumers choose to utilize the links located throughout the content on this site and generate sales for the said merchant. You are not obligated to click on any link or buy any products that are advertised. As a participant in the Amazon Services LLC Associates Program, an affiliate advertising program designed to provide a means for sites to earn advertising fees by advertising and linking to Amazon.com. As an Amazon Associate, I earn from qualifying purchases. Our Sweet Adventures, (including our associated travel agency, Sweet Adventures, on this website) abides by GDPR regulations. We use Google Analytics for analyzing website data. If you subscribed to our newsletter, you will receive our newsletters. You can always unsubscribe by following the link in email or by contacting us. Furthermore, if you wish to have your information (e.g. comments removed) and you’re an EU resident, please contact us. We are more than happy to change and/or remove your information/comments/email from the mailing list if you contact us. We do not retain secondary copies of commenters/reader contact information without permission. Similarly, we do not resell or share your contact information with third parties. Once you opt out of the mailing list, you are permanently removed. In order to provide you with better services offered on our site, Our Sweet Adventures may collect personal information, such as your first and last name and e-mail address. This information may be collected if you leave a comment, subscribe to a newsletter, or submit information in a contact form. Your username will be stored but your passwords will not be visible in our records. We may also receive personal information about you from other sources such as Facebook, Instagram, Twitter, or Google accounts that you link to your user profile. Should you choose to link any of the prior accounts mentioned, we will receive your name, e-mail address, and picture associated with that account. Should you choose to make an account and comment on www.oursweetadventures.com, your profile photo may also appear. Our Sweet Adventures may keep track of the websites and pages our users visit within Our Sweet Adventures, in order to determine what services are most popular. This data is used to deliver customized content and advertising within Our Sweet Adventures whose behavior indicates that they are interested in a particular subject area. Our Sweet Adventures may engage in affiliate marketing, which is done by embedding tracking links on to www.oursweetadventures.com. If you click on a link with an affiliate partnership, a cookie will be placed in your browser to track sales for purposes of commissions. Information about your computer hardware and software may be automatically collected by Our Sweet Adventures. This information can include: your IP address, browser type, domain names, access times and referring website addresses. This information is used for the operation of the service, to maintain the quality of the service, and to provide general statistics regarding use of the Our Sweet Adventures website. The Our Sweet Adventures website may use “cookies” to help you personalize your online experience. A cookie is a text file that is placed on your hard disk by a web page server. Cookies cannot be used to run programs or deliver viruses to your computer. Cookies are uniquely assigned to you, and can only be read by a web server in the domain that issued the cookie to you. One of the primary purposes of cookies it to provide a convenience feature to save you time. The purpose of a cookie is to tell the web server that you have returned to a specific page. For example, if you personalize Our Sweet Adventures pages, or register with Our Sweet Adventures sites or services, a cookie helps Our Sweet Adventures to recall your specific information on subsequent visits. This simplifies the process of recording your personal information, such as your name, email, and so on. When you return to the Our Sweet Adventures website, the information you previously provided can be retrieved, so you can easily use the Our Sweet Adventures features you customized. You have the ability to accept or decline cookies. Most web browsers automatically accept cookies, but you can usually modify your browser setting to decline cookies if you prefer. If you choose to decline cookies, you may not be able to fully experience the interactive features of the Our Sweet Adventures services or websites you visit. Our Sweet Adventures secures your personal information from unauthorized access, use, or disclosure. Our Sweet Adventures uses SSL Protocol for this purpose. When personal information (such as a credit card number) is transmitted to other websites, it is protected through the use of encryption, such as the Secure Sockets Layer (SSL) protocol. Our Sweet Adventures does not knowingly collect personally identifiable information from children under the age of sixteen. If you are under the age of thirteen, you must ask your parent or guardian permission to use this website. If a parent or guardian believes that the Website has personally identifiable information of a child under the age of 16 in its database, please contact us immediately. We will use our best efforts to promptly remove such information from our records. 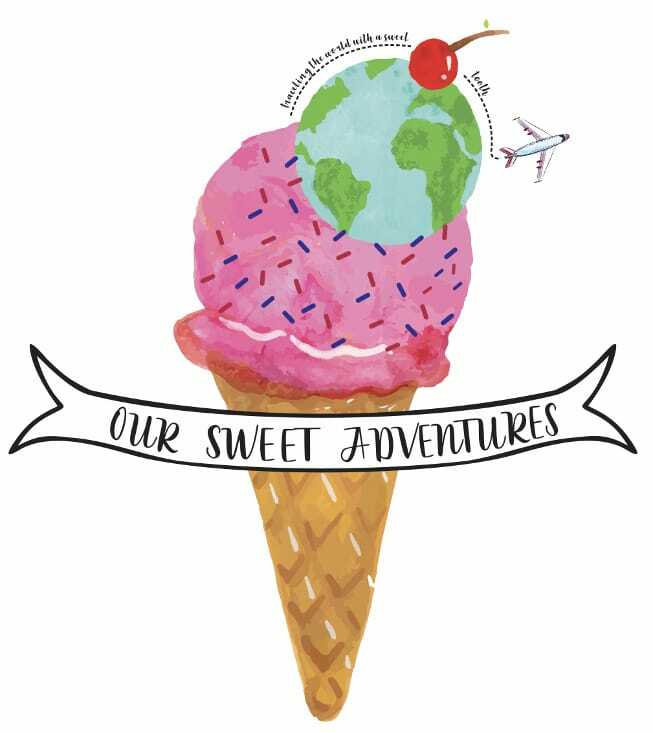 From time to time, Our Sweet Adventures may contact you via email for the purpose of providing announcements, promotional offers, alerts, confirmations, surveys, and/or other general communication. In order to improve our services, we may receive a notification when you open an email from Our Sweet Adventures or click on a link therein.